This post features a recruitment agency based in Manila, RISE Manpower Services Incorporated. You will find here details such as their POEA license status and license validity duration, office address, telephone numbers, email address, website, and Facebook page (if available). RISE Manpower Services Inc. is a landbased agency with POEA License number: 081-LB-031816-R. Its main office is situated in Ground Floor of CSL Building 1919 Agoncillo Street Malate, Manila 1004. 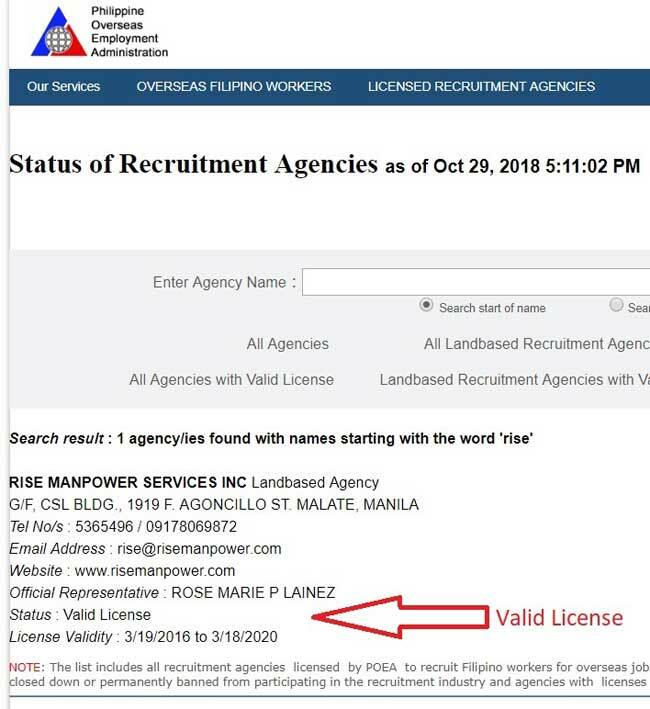 According to their official website, www.risemanpower.com, the latter was established in 1992 since then they have been offering better employment opportunities abroad for Filipino skilled workers. 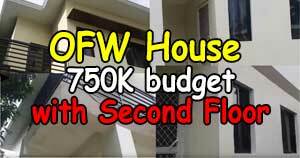 In the span of 20 years (2 decades) they were able to deploy thousands of highly skilled OFWs to different countries which include Europe, Canada, New Zealand, USA, Asia, and Middle East. They also able to assist employers from other countries find qualified and able personnel to fill up their manpower needs. RISE Manpower Services Incorporated, aside from possessing a valid POEA license, according to their website, the agency is also duly registered in securities and exchange commission to recruit, process, and send landbased workers overseas. They were also authorized by Department of Labor of the Philippines, and Taiwan government to participate in the latter special hiring program. Based on the official website of POEA (www.poea.gov.ph) RISE Manpower Services Inc is a landbased manpower agency in the Philippines. 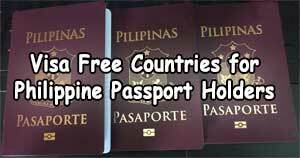 It has a valid license from POEA with validity from March 19, 2016 to March 18, 2020. From year 2014 to 2018, most of their job openings overseas are for countries such as Cook Islands, Vanuatu Island, Taiwan, Brunei Darussalam, Kuwait, New Zealand, and Saudi Arabia. 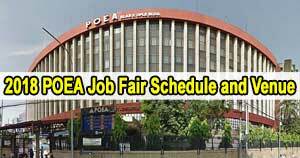 Based on the list that I got from POEA website, they have job openings for Builder, Steel Fabricator Foreman, factory worker, Engineer, Mechanic, Salesman, cook, beautician, and a lot more. For the updated list visit their website and official Facebook page. This blog Mattscradle.com is NOT CONNECTED to the featured manpower agency. Mattscradle.com is NOT a manpower agency.